ALMA assumes responsibility for the Flora and Fauna habitat located around the Radio Observatory facilities, under archaeological advisement with San Pedro de Atacama and Chilean authorities. ALMA was built under a policy of respect for and protection of the existing Flora and Fauna in the area. 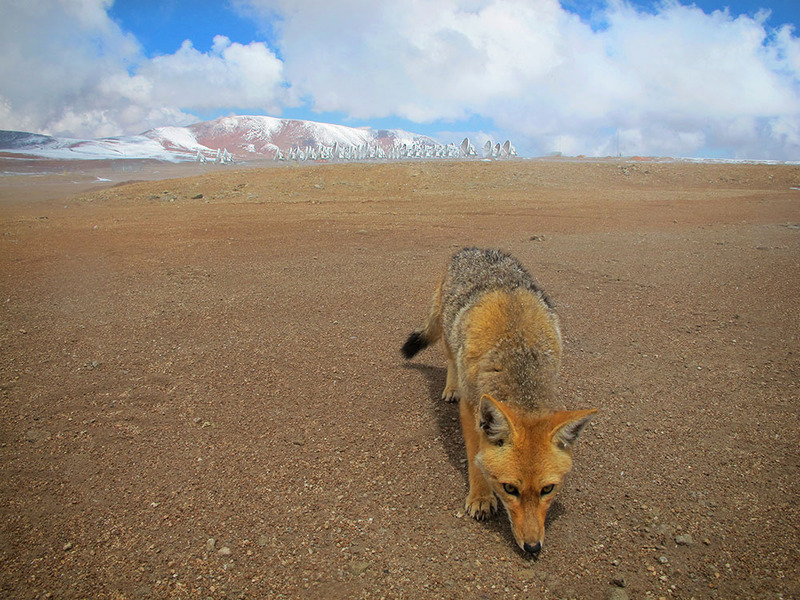 In this photo: A fox in Chajnantor.